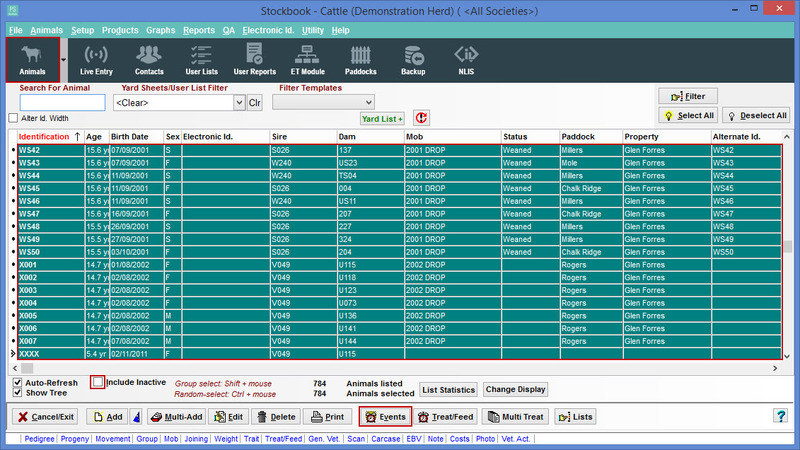 How do I change sale details of stock already entered as a Disposal (2). Sale/Death/Disposal) Event? Click on the Animals toolbar icon. Tick on the Include Inactive check box. 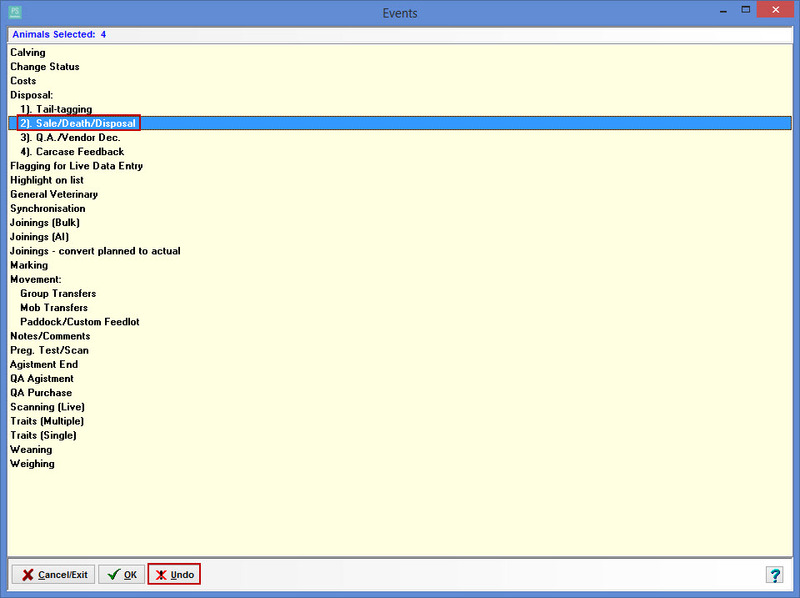 Click on the Events button. Click on Sale/Death/Disposal option in the Events window. 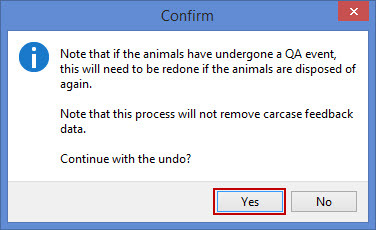 Click on the Cancel/Exit button. You can now redo your sale event.